Tommy was wonderful. 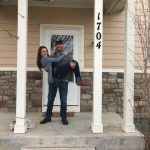 Being first-buyer, we had a LOT of questions. He was 1) WILLING and EAGER to answer our questions, 2) AVAILABLE whenever we needed to talk, being accommodating to our work hours, and 3) he was able to answer them in a way we understood (no crazy real estate jargon). Tommy helped us through the process from beginning to end, every hiccup and speed-bump included. Even when we had issues with the financing companies, he was our advocate. He is clearly experienced, and he’s just honestly enjoyable to be around. All around great guy and great experience. WE HIGHLY recommend Tommy Daly Home Team!